In a poll of British doctors in 2003 John Snow was voted as the greatest physician of all time. Though probably few of them would have known he was what we now call vegan. He grew up in the North-East of England, always a tough area of the country, and still not the easiest place to be vegan today. But Snow was born almost 200 years ago, and at the age of 17, in 1830, with no apparent support from anyone else beyond a book he read, he changed his diet to plant foods and pure water (preferably distilled water, though probably more often just boiled). He kept close to that diet, and teetotalism, for the rest of his life. His refusal to prescribe alcohol to his patients, considered routine at the time, brought even more ridicule from fellow doctors than his strange diet. The book he found was ‘Return to Nature’, by John Frank Newton, first published in 1811. Newton was a patient of Dr. William Lambe FRCP, who had adopted a pure plant-food and water diet back in the second week of February 1806 (Lambe was very precise about these things!). In 1828 Lambe published a pamphlet which argued that the drinking water taken from the River Thames was causing illness to the people of London. He was ridiculed then ignored. We have no record that Snow ever met Newton or Lambe, but their influence was considerable. 1 – dare to be different – argue your case even when ‘conventional wisdom’ else says the opposite. 2 – stick to it whilst being ridiculed or ignored by all the ‘experts’. 3 – eventually be proved right. This last part being rather crucial to the process! John Snow certainly did all of those. 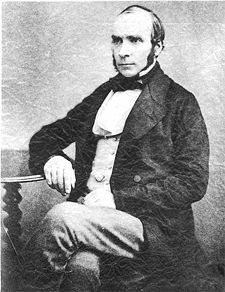 He moved to London in 1837 to continue his medical studies, and became particularly interested in anaesthetics. He started experimenting on himself, promoting new ideas that others dismissed, eventually succeeding to the extent of administering pain-reduction to Queen Victoria during the births of two of her children. His book on the subject became required reading. Not bad for a boy from a humble working family, but that was just the beginning. During the 19th century the world was being rocked by cholera epidemics, starting in India but spreading across Europe and over to North America. All the top medical brains were desperately trying to find the cause, but they were getting nowhere because of their pre-conceived ideas about disease being spread by ‘vapours’ in the air. Dr. Snow did his own research and in 1849 wrote a pamphlet showing how cholera was spread by infected drinking water (just as Dr. Lambe had predicted 21 years earlier). Some other doctors ridiculed him, most just ignored him. During the next London cholera epidemic in the 1850s he carried out large scale research into which houses were supplied by the two main water companies – virtually inventing the science of epidemiology in the process. The companies refused to help because of their commercial interests, so he walked around all the affected areas, knocking on doors to find out which houses were supplied by which company. He then wrote an expanded version of his pamphlet showing that all the houses affected by cholera were being supplied by the same water company. He also focussed on a particular outbreak in Soho, London, and narrowed the source down to one street-pump. With some difficulty he persuaded the local authorities to remove the handle. The medical establishment still ignored him, still being convinced that it was something in the air. A couple of friends corroborated his research from their own investigations, but they were ignored too. In 1868, 10 years after Snow died, another cholera epidemic hit London – this time his friends were finally able to prove that he (and Lambe) had been right all along. Unfortunately Snow’s self-experimentation on anaesthetics damaged his health, resulting in kidney failure and an early death in 1858. The other doctors around at the time didn’t understand renal failure either, and naturally blamed all his ill-health on both his strange diet – and even his refusal to drink alcohol! There are some anecdotes that towards the end he gave in to the demands of other doctors and was persuaded to take some wine, and even a little meat. The real cause of his death was only understood later.